In the following I shall attempt a country-by country tabulation of non-Jews who perished through criminal violence by Nazi Germany and its allies during World War II, i.e. of non-Jews who died at the hands of the Nazi “killing apparatus” as defined in Part 1. This tabulation, which lays no claim to being scientific and is open to any constructive criticism that may lead to improving its accuracy, is based on data known to me from various sources as well as my own estimates. Where I have no data from other sources at my disposal, I use the very detailed Wikipedia page on World War II casualties and other information provided by Wikipedia. Between 2.53 million and 3.3 million Soviet prisoners of war perished in German captivity due to brutal treatment including mass murder by shooting or starvation, see my article One might think that … and the HC forum thread The Fate of Soviet prisoners of War. The siege of Leningrad, mentioned in the same article as a criminal undertaking because its purpose was not the surrender of the city but its depopulation (i.e. not a military but an arguably genocidal objective), claimed about one million civilian lives (see also the HC forum thread The Siege of Leningrad). Some of the so-called anti-partisan operations, particularly in the occupied Soviet Union, were in effect efforts to depopulate the Soviet countryside. The Germans massacred hundreds of thousands, perhaps millions, of Soviet civilians in their villages. The vast majority of these victims had little or no connection to partisan resistance. How many civilians died of starvation, related diseases and exposure in Nazi-occupied territory due to Nazi exploitation policies including ruthless food requisitioning, expulsions/deportations and forced labor? In footnote 21 of their article Soviet Deaths in the Great Patriotic War: A Note, Michael Ellman and S. Maksudov mention “preliminary calculations” made by one of them according to which ”deaths from the German occupation (killing of Jews, deaths in the siege of Leningrad, deaths from the fighting, excess deaths on the occupied territories resulting from the deterioration in living conditions) were about 7 million. Of these, about 1 million were in the siege of Leningrad and 3 million were Jews. Of the latter, about 2 million were Jews from the newly annexed territories, and 1 million Jews from old Soviet territory”. These ”rough preliminary estimates on a topic which still awaits serious research” leave 3 million non-Jewish civilians in Nazi-occupied territory who died as collateral casualties of the fighting, were massacred in anti-partisan operations or died due to the deterioration in living conditions. If equal probability is assigned to each of these 3 possibilities (collateral casualties, victims of anti-partisan operations, deaths from deterioration in living conditions), we get one million collateral civilian deaths (not included in this tabulation), one million victims of anti-partisan operations and one million deaths from deterioration in living conditions. Deaths in the latter two categories can be mostly attributed to the policies and actions of the Nazi occupiers and their allies, including the implementation of the murderous “Hunger Plan” addressed in this article. However, I shall conservatively assume that only half of the ca. 3 million non-Jewish Soviet civilian deaths in Nazi-occupied territory were directly attributable to the implementation of the Nazis’ criminal occupation and exploitation policies, the balance being collateral victims of the fighting at the front, starvation deaths due to the Soviet scorched-earth policy during the retreats in 1941/42 (which for time reasons already cannot have caused nearly as much damage and mortality as the Nazis’ exploitation policies and the scorched-earth devastation wrought by retreating German forces) and civilians killed by irregular forces fighting the occupier. 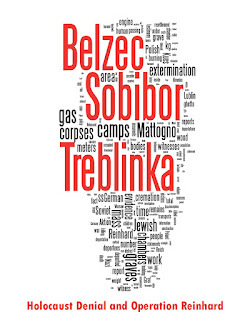 1.5 million civilian victims of anti-partisan operations and other Nazi brutality in occupied territory, including forced-labor exploitation and starvation induced by Nazi exploitation policies. The number of Soviet non-Jewish victims of Nazi crimes alone equals or exceeds Wiesenthal’s “invented” total of 5 million non-Jewish victims. It also comes close to the total of Jewish victims of Nazi persecution and mass murder in all of Europe. Regarding the latter see Nick Terry's AHF reference thread Number of Victims of the Holocaust. In the past, many estimates of losses were based on a Polish report of 1947 requesting reparations from the Germans; this often cited document tallied population losses of 6 million for all Polish "nationals" (Poles, Jews, and other minorities). Subtracting 3 million Polish Jewish victims, the report claimed 3 million non-Jewish victims of the Nazi terror, including civilian and military casualties of war. Documentation remains fragmentary, but today scholars of independent Poland believe that 1.8 to 1.9 million Polish civilians (non-Jews) were victims of German Occupation policies and the war. This approximate total includes Poles killed in executions or who died in prisons, forced labor, and concentration camps. It also includes an estimated 225,000 civilian victims of the 1944 Warsaw uprising, more than 50,000 civilians who died during the 1939 invasion and siege of Warsaw, and a relatively small but unknown number of civilians killed during the Allies' military campaign of 1944—45 to liberate Poland. So much for the accuracy of the claim, unfortunately still repeated on sites like those mentioned in Part 1 of this article, that 3 million non-Jewish Poles were killed in whatever it is that these sites mean by the “Holocaust”. The current estimates by Polish scholars also include collateral civilian casualties of war, so the number of Polish civilians who fell victims to Nazi occupation policies must be somewhat lower than 1.8 to 1.9 million. Assuming a total of 300,000 civilian victims of the 1939 invasion, the Warsaw Uprising and the military campaign of 1944-45, and that two thirds of these were collateral casualties of the fighting and not victims of Nazi executions and massacres, the number of Polish non-Jews who perished due to Nazi occupation policies would be 1.6 to 1.7 million, the lower figure being close to an estimate of 1.55 million by Polish historian Bogdan Musial, mentioned in a H-Holocaust post by Steve Paulsson. It is not stated in this post whether Musial’s estimate includes collateral war casualties or not, or whether it refers to the territory of Poland in 1939 (including areas that later became part of the Soviet Union) or to the postwar Polish territory. In the former case, and assuming that Musial counted not only ethnic Poles but also ethnic Belorussians and Ukrainians, there is a partial overlapping between Musial’s figure and the estimates about Soviet civilian victims in item 1 above. In order to be on the safe side considering these unknowns, I’ll reduce Musial’s figure by one-third (which, of course, is a mere guess) and assume that the number of non-Jewish Polish civilians killed by Nazi occupation policies on the territory of the present-day Polish Republic was about one million. Adding these one million to the 5.03 to 5.8 million Soviet non-combatants killed by Nazi criminal violence, we have 6.03 to 6.8 million non-Jewish victims of such violence in the Soviet Union and Poland alone, i.e. an order of magnitude close to or exceeding even the highest estimates on the number of Jewish victims of Nazi persecution and mass murder throughout Europe. The Wikipedia page on World War II casualties mentions 43,000 non-Jewish civilian dead for Czechoslovakia. Footnote 11 mentions 26,500 non-Jewish victims of Nazi reprisals, 10,000 civilians killed in military operations and 7,500 victims of the genocide of Roma people. These figures add up to 44,000. For the purpose of my count I’ll assume 33,000 non-Jewish victims of Nazi repressive or exterminatory violence in Czechoslovakia. The late Croatian economist and United Nations specialist Vladimir Žerjavić published a detailed study on Yugoslavia’s war losses during World War II, some figures from which are available on this site. Of the total of 1,027,000 losses, according to Žerjavić, 947,000 occurred on Yugoslavian territory and 80,000 abroad (Table 3). These include 237,000 resistance fighters, 209,000 “collaborators and quislings” and 501,000 “victims”, thereof 216,000 in camps and 285,000 “in places” (Table 5). I assume that the category “collaborators and quislings” refers to ethnic Croats, Slovenians, Germans and others killed in combat or otherwise by forces of the People’s Liberation Army, whereas the 501,000 “victims” include people killed by either the German, Italian or Hungarian occupiers, the Royalist Chetniks or the forces of the Independent State of Croatia (NDH) , Nazi Germany’s ally. Serb civilian losses on the territory of the NDH, according to Žerjavić, totaled 197,000; thereof 45,000 were killed by German forces, 15,000 by Italian forces, 28,000 in “prisons, pits and other camps” and 50,000 were killed in the Jasenovac-Gradina camp, whereas 25,000 died of typhoid and 34,000 were killed “in battles between Ustashas, Chetniks and Partisans”. The total of Serb civilians who fell victim to criminal killings by Axis forces on the territory of the NDH would thus be 138,000, out of 197,000 civilian victims in total, or ca. 70 %. Applying this relation to the above-mentioned total of 501,000 civilian victims on Yugoslav territory, we get about 350,000 victims of criminal killings vs. 150,000 deaths from disease or as collateral casualties of the fighting. Mass killings did not only take place on the territory of the NDH, but also in other parts of former Yugoslavia. Reprisal actions by German forces in Serbia until 1 December 1941 killed 15,000 people, of which some 4,500 to 5,000 were Jews and Gypsies. In the Serbian region of Vojvodina, Axis forces are reported to have killed a total of 55,285 people between 1941 and 1944. These partial figures, as well as the fact that Axis (mainly German, Italian, Hungarian and Croatian) forces were more numerous and better organized than the Chetniks, also in what concerns their killing operations, make it seem reasonable to assume that at least three in four victims of criminal killings on Yugoslavian territory, i.e. ca. 260,000 out of 350,000, were killed by Axis forces. Included herein are ca. 33,000 Jews killed on Yugoslavian territory according to Žerjavić’s Table 3, the balance of ca. 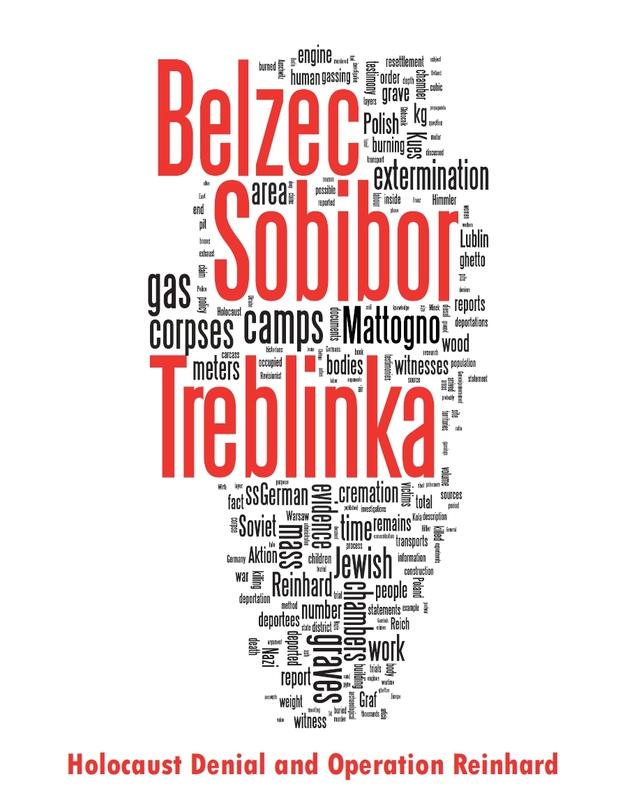 227,000 being non-Jewish victims including Serbs, Roma Gypsies and members of other ethnicities. Žerjavić also mentions a total of 80,000 inhabitants of Yugoslavia who were killed abroad, thereof 24,000 Jews, 33,000 Serbs, 14,000 Croatians, 6,000 Slovenians and 3,000 Muslims. The Serbs are likely to have been prisoners of war from the Balkans campaign or civilian forced laborers who died in German captivity. According to an article about prisoners of war on the website of the German Historical Museum, which I once translated (see “witness”’s post of 24 Sep 2003 00:26 on the Axis History Forum), about 100,000 Serbian prisoners taken in 1941 during the German Balkans Campaign, so-called “Südostgefangene” (south eastern prisoners) were employed in the German economy under the worst conditions. German historian Hellmuth Auerbach, in an article about the victims of National Socialist violence and the Second World War included in Wolfgang Benz et al, Legenden, Lügen, Vorurteile (the article is also available online), mentioned (my translation) “at least 500,000 Yugoslavs who died in German labor camps and concentration camps”. While this figure (which is incompatible with Žerjavić’s calculations) strikes me as too high, it is likely that conditions for Serbian prisoners of war and civilians in Nazi concentration and labor camps outside Yugoslavia were not much better than in the Sajmište concentration camp near Belgrade. I therefore consider it justified to add Žerjavić’s 33,000 Serb fatalities outside Yugoslavia to the estimated 227,000 non-Jews killed by Axis forces on Yugoslavian territory, for a total of 260,000 non-Jewish Yugoslavian victims of Axis crimes during World War II. I know of no data about non-combatant casualties due to the action of Axis forces. The World War II Casualties page mentions 15,000 Romanians who died in German captivity and 36,000 victims of the genocide of Roma people. I know no details about the conditions of captivity for Romanian POWs, i.e. whether they were as brutally treated as Soviet, Serbian or Italian prisoners of war (see items 1 and 4 above and 10 below), but as these deaths must have occurred during the period between Romania’s joining the Allies in August 1944 and the end of the war, and as the number of prisoners of war taken by the Germans from among the 538,000 Romanian soldiers who fought against the Axis in 1944-45 cannot have been very high, the assumption seems warranted that Romanian prisoners of war were treated no differently from Soviet ones, also considering probable German resentment about Romania having switched sides. Therefore I add the Romanian POWs who perished in German captivity to the victims of the Roma genocide in Romania, which gives a total of 51,000 non-Jewish Romanian victims of Axis crimes. According to the World War II Casualties page, there were 28,000 victims of the genocide of Roma people in Hungary. The available data mention an “unknown number” of civilians included in ca. 10,000 Anti-Fascist partisan deaths. I know nothing about the particulars of Axis anti-partisan fighting in Bulgaria and therefore refrain from even guessing what the number of civilians killed in anti-partisan operations may have been. The World War II Casualties page mentions “60,000 non-Jewish civilians, 20,000 non Jewish deportees and 140,000 famine deaths during the Axis occupation of Greece during World War II”. The total of these figures is 220,000. However, the famine cannot be wholly attributed to Axis occupation forces, who don’t seem to have pursued a starvation policy here like in the Soviet Union (see item 1 above). According to the Wikipedia page about the Axis occupation of Greece during World War II, “Requisitions, together with the Allied blockade of Greece, the ruined state of the country's infrastructure and the emergence of a powerful and well-connected black market, resulted in the Great Famine during the winter of 1941-42 (Greek: Μεγάλος Λιμός), when an estimated 300,000 people perished.”. I take the lower figure on starvation deaths (140,000) and assume that Axis requisition policies accounted for about half hereof. The total number of Greek non-Jewish victims of Axis crimes would thus be 60,000 + 20,000 + 70,000 = 150,000. As Schreiber does not attribute all deaths among the military internees to “misdeeds”, I’ll assume 30,000 military internee victims of criminal behavior on the part of their captors. This figure tallies with the one given on the World War II Casualties page. It is not clear whether the latter figure includes the “thousands of members of the Italian armed forces shot down while or after laying down their arms”, which are mentioned by Schreiber but not included in his figures. I assume that they do and add up 30,000 POWs, 37,000 political deportees and 16,600 minus 7,400 = 9,200 non-Jewish civilian victims of German “misdeeds” to a total of 76,200 non-Jewish Italian victims of Axis crimes. I know of no data about non-combatant casualties. If one deducts from the total number of Soviet prisoners who fell into German hands those who were still in captivity on 1 January 1945 – 930,287 -, the estimated number of releases – 1,000,000 – and the estimated number of prisoners who got back to the Soviet side through escape or during the retreats – 500,000 –, there results a number of about 3,300,000 prisoners who perished in German captivity or were murdered by the Einsatzkommandos, i.e. 57.8 per cent of the total number of prisoners. Considering the comparatively low mortality rate (by any count) of French POWs, and the fact that the conventions regarding the treatment of prisoners of war were largely complied with by the Germans in the western theaters of war (see “witness”’s post of 24 Sep 2003 00:26 on the Axis History Forum), it does not seem justified to count the French POWs who died in German captivity as victims of Axis crimes. Regarding civilian victims in France, the World War II Casualties page mentions “230,000 victims of the Nazi reprisals and genocide (including 83,000 Jews)”. Included in the 147,000 non-Jewish victims are 15,000 victims of the genocide of Roma people and “20,000 anti-Fascist Spanish refugees resident in France who were deported to Nazi camps”. The World War II Casualties page mentions “16,900 non-Jewish victims of Nazi reprisals and repression”. Not included in this number are 500 victims of the genocide of Roma people in Belgium, who bring the total of non-Jewish Belgian victims of Axis crimes to 17,400. The World War II Casualties page mentions 58,050 non-Jewish victims of Nazi reprisals and repression and 16,000 deaths in the Dutch famine of 1944, plus 500 victims of the Nazi genocide of Roma people not included in these figures. I consider the Dutch famine of 1944 to have been wholly the German occupiers’ responsibility, insofar as it was unleashed by a retaliatory food embargo decreed by the occupiers and worsened by, among other factors, the destruction of locks and bridges by the retreating German forces to flood the country and impede the Allied advance. The total of Dutch non-Jewish victims of Axis crimes would thus be 74,550. The only non-Jewish victims of Axis crimes mentioned on the World War II Casualties page are 200 victims of the genocide of the Roma people. Information on this page shows that there were also non-combatant occupation victims among the Luxembourgers who were neither Jews nor Gypsies, but I have no source allowing for their quantification. The World War II Casualties page mentions 628 non-Jewish civilian victims of Nazi reprisals. The World War II Casualties page mentions 10,000 victims of Nazi political persecution from 1939 to 1945 and 6,500 victims of the genocide of Roma people. The total number of non-Jewish Austrian victims of Axis crimes would thus be 16,500. Nazi repression and genocide in Germany proper is stated on the World War II Casualties page to have claimed 762,000 victims, including “300,000 political prisoners, victims of the Action T4 euthanasia program, Gay men and 160,000 German Jews”. While the figure for German Jews is accurate, the balance of 602,000 non-Jewish victims seems to be a distinct exaggeration, especially as 302,000 are supposed to have been others than political prisoners, victims of the Action T4 euthanasia program and homosexuals. The genocide of Roma people is stated to have claimed 15,000 victims in Germany, so who are the remaining 287,000 supposed to have been? “Euthanasia”: according to the USHMM, the Action T4 euthanasia program and its unofficial sequels claimed a total of 200,000 victims, including “geriatric patients, bombing victims, and foreign forced laborers”. In his article referred to under item 4, Hellmuth Auerbach mentioned (my translation) “about 100,000 mainly German mental patients and handicapped persons (so-called Euthanasia victims)”. I choose the lower figure, also considering that the higher one is stated to include non-Germans, who would already have been counted under the items referring to their countries of origin. Homosexuals: The Wikipedia page History of gay men in Nazi Germany and the Holocaust mentions an estimated “5,000 to 15,000” who were incarcerated in concentration camps, and informs that a leading scholar on the subject “believes that the death rate in concentration camps of imprisoned homosexuals may have been as high as 60%”. Assuming the lowest estimate on the number of concentration camp inmates, this rate would mean 3,000 deaths. The number of Jehovah's Witnesses who died in concentration camps and prisons during the Nazi era is estimated at 1,000 Germans and 400 from other countries, including about 90 Austrians and 120 Dutch. (…)In addition, about 250 German Jehovah's Witnesses were executed -- mostly after being tried and convicted by military tribunals -- for refusing to serve in the German military. This means that about 1,250 German Jehovah’s Witnesses were fatal victims of Nazi repression. The German camps were overwhelmingly populated by non-Germans for more than half their life. During the war years an estimated 90-95 per cent of camp prisoners were drawn from the rest of Europe. The great majority of those who died or were killed in all the camps were drawn from their non-German populations. The SS sub-camps at Gusen contained only 4.9 per cent ethnic Germans in 1942 (half the prisoners were Spanish republicans, over a quarter Russians). At Natzweiler only 4 per cent of the political prisoners by 1944 were Germans; at Buchenwald only 11 per cent were German in May 1944. By 1944 there were more Soviet citizens in captivity in Germany than in the USSR. On the other hand, Nazi terror against the German population was carried out not only through confinement in concentration camps, but also through the judicial system and, in what concerns the armed forces, the military courts-martial. In his study Furchtbare Juristen, about the German judicial system before, during and after the Nazi era, German legal scholar Ingo Müller estimates a total of 80,000 victims of Nazi judicial brutality, including the courts in the occupied territories which issued death sentences “in an inflationary manner” against non-German nationals. A significant part of these victims of judicial murder were Germans, including soldiers sentenced to death by flying courts-martial for actual or suspected desertion (about 15,000 German soldiers were executed for desertion during World War II, whereas only 48 death sentences were carried out in the German Army between 1914 and 1918) and civilians executed for such puny offenses as making derogatory remarks about the Nazi regime or grabbing a sausage and a bottle of perfume while helping to remove large stocks of both from a burning building following a bombing attack (among other cases described in Müller’s book). Taking into account the judicial murders, and also for lack of a sourced alternative, I accept Auerbach’s figure of 130,000 as being the total of all non-Jewish German victims of Nazi crimes other than the victims of the Roma genocide and the disabled who fell victim to the “euthanasia” program, including opponents on political or religious grounds as well as “asocials” and criminals held in concentration camps, soldiers executed for desertion and civilian victims of judicial murder, and also people killed by diehard Nazis in the last months of the war for hanging out a white flag, disarming teenage Hitler Youths and telling them to go home or simply failing to join Volkssturm units in last-ditch defense efforts. The total number of German non-Jewish victims of Nazi repression and genocide would thus be 245,000 (15,000 German Roma, 100,000 disabled and 130,000 others). Only a minority of the non-Jewish victims of Axis crimes belongs to the categories included in Mrs. Schwartz’s “Five Milion Forgotten” (see Part 1). According to item 2 above, her figure of 3 million “Polish Christians and Catholics” must be divided by two or three, depending on whether or not it covers the territory of Poland in its pre-war borders, i.e. including the areas that later became part of the Soviet Union. Her figure for Roma dead in the section “Who Were the Five Million Non-Jewish Holocaust Victims?” of her website (half a million) corresponds to the high range of estimates on the victims of the Roma genocide; more conservative estimates (including, according to this article, those of Donald Kendrick and Grattan Puxon, on whose book the numbers per country mentioned in the World War II casualties page are based) indicate around 200,000 Gypsies killed by the Nazis. As concerns disabled people, the highest estimate mentioned under item 19 above is that of the USHMM (ca. 200,000), which includes non-German victims. Mrs. Schwartz’s figures for homosexuals killed in Nazi concentration camps (5,000 to 15,000) actually refer to the estimated number of homosexuals imprisoned in concentration camps; if 60 % of these died, as considered possible by a leading scholar on the subject (see item 19 above), the number of dead would be between 3,000 and 9,000. The total number of German and non-German Jehovah’s Witnesses who died at the hands of the Nazis, according to the USHMM, is 1,650. As to Mrs. Schwartz’s categories “Men and Women of Courage From All Nations” and “Priests and Pastors”, the sad fact is that comparatively few of the civilian victims of Axis repression had turned against the Nazis by hiding Jews, providing assistance to partisans, holding sermons to their parish or in any other none-violent manner (armed resistance fighters are not included in my count, see item 16 above). Most victims were caught up in reprisals or anti-partisan operations independently of any action of their own. According to the above, the number of non-Jewish victims of the “Nazi killing apparatus” as defined in Part 1 of this article is considerably higher than the 5 million non-Jewish victims “invented” by Simon Wiesenthal, while on the other hand, the combined number of Polish Christians, Gypsies, disabled people, homosexuals, Jehovah’s Witnesses and opponents of the Nazis on political or religious grounds, i.e. the categories pointed out on the “Five Million Forgotten” site, makes up just about 20 % of my lower total of over 7 million victims of criminal violence by the Nazis and their allies (roughly 1 ½ million). Now, what’s the purpose of this exercise, which some may consider a rude and/or pointless reduction of incommensurable human suffering to crude figures? I think it is important, given the widespread lack of knowledge about non-Jewish victims of Nazi crimes, the false notions that are in this regard conveyed by sites like “Five Million Forgotten” and the incidental, though probably unintended playing-down of non-Jewish suffering and death at the hands of the “Nazi killing apparatus”, with the hollowness of Wiesenthal’s “five million” as a key argument, by Michael Berenbaum , Walter Reich and others, to provide an idea of the overall magnitude of Nazi criminal killings of non-Jews that is as detailed and accurate as possible. The present article pretends to be no more than a first attempt in this sense, which I hope will encourage researchers with a broader access to sources than I have to further develop and study the subject. A discussion of this article has been opened on the RODOH forum. In many respects excellent. One problem I have: you make some informed guesses, admit they are guesses (e.g. "I’ll reduce Musial’s figure by one-third (which, of course, is a mere guess) and assume that the number of non-Jewish Polish civilians ...") and then later produce a firm number, e.g. in your Sum total table "Poland one million". And your Soviet civilian figure of "1.5 million civilian victims of anti-partisan operations and other Nazi brutality in occupied territory." relies heavily on “preliminary calculations/ rough preliminary estimates” made by either Michael Ellman or S. Maksudov and then some broad judgements by you. I have no problem with the judgements but with different judgements and/or a different “preliminary calculations/ rough preliminary estimates” the figure could easily have been 2.5 million or 500,000. >(which, of course, is a mere >guess) and assume that the number >of non-Jewish Polish >civilians ...") and then later >produce a firm number, e.g. in >your Sum total table "Poland one >million". Musial's figure is not a guess, but seems to be based on an addition of victim numbers from various events. Guessing only comes in as a caveat in case there is a territorial overlapping between Musial's figure and the figures of Ellman/Maksudov for the Soviet Union, and in case Musial also includes collateral casualties of war. If I were certain that neither of both applies, I would use Musial's figure. In order to calculate a total I needed a figure for Poland, so I used my arbitrarily reduced Musial figure. The total is stated in Part 1 to be an order of magnitude, not a precise figure, so I see no problem with that. But if you have a better suggestion, please let me know. Collecting suggestions is one of the reasons why I wrote this article. Actually my "broad judgments" are careful judgments, considering that I have various estimates attributing a million or more victims of anti-partisan operations to the occupiers, and that the Nazis had a ruthless occupation policy foreseeing the starvation of a large part of the population under their rule and more time to implement this policy and later their scorched-earth policy than the Soviets had to implement their own scorched-earth policy in 1941/42, and therefore caused more damage and suffering to the civilian population. The "rough preliminary estimates" of Ellman or Maksudov are not all that rough considering that their orders of magnitude for Leningrad and for Jewish casualties are more or less in line with sources that studied both more specifically. Their total of 7 million is also likely to be accurate if you consider the Extraordinary Commission's 6 million in Nazi-occupied territory and add 1 million for Leningrad. The Extraordinary Commission is quite accurate in what concerns the Jewish victims, so it probably also made a fairly reliable count of the non-Jewish victims in Nazi-occupied territory, except that it apparently charted up all recorded non-Jewish civilian victims, including collateral casualties of war and those who died of starvation and disease, as shot, gassed, hung or burnt to death by German and Romanian occupation forces. However, if you know a more precise source than Ellman or Maksudov or the Extraordinary Commission, please let me know. My article is not meant to be a definite study but rather an invitation to perform such studies, addressed to those who have a better access to sources than I have. gives us an additional 150K, add T-4 euthanasia victims of 150K, then there are an unknown number victims of summary executions in 1945. The estimate of 600K makes sense to me. The non Jewish victims of 2 million is a demographic estimate by Polish historians. That would include excess deaths due to shortages during the war and Poles in the German forces. Check the reported death rates in the Government from 1940-43 and you come up to an increase of 400,000 additional deaths, Wikipedia( if they are correct in the citation )cites a German source for 108,000 Poles dead in the Nazi forces. In any case most Poles dead in the camps were sent there for economic offenses, dealing on the black market, according to Jan Gross. The Polish estimate of 2 million also includes 300,000 dead during Soviet deportations and 100,000 killed by Ukrainians. I seems to me that the US Holocaust Memorial Museum copied a number of 2 million that they did not understand. "However, if you know a more precise source than Ellman or Maksudov or the Extraordinary Commission, please let me know." >You estimate 245k non Jewish victims of Nazis. I disagree, by the end of 1939 according to >E. Kogon the total dead in the camps was 160K. That seems high to me. Why do you consider Kogon to be a reliable source for this? The total population of Nazi concentration camps was 60,000 in early 1939, 21,400 in August of that year. The higher number included around 35,000 – 40,000 Jewish prisoners briefly imprisoned following the Kristallnacht pogrom on 9/10 November 1938. Earlier camp population figures were: 24,000 (Oct. 1938), 7,500 (January 1937), 4,761 (November 1936), c. 3,500 (1935), c. 3,000 (August 1934) and 26,789 (July 1933). All figures are from Richard Overy, The Dictators, page 612. Do you think a death toll of 160,000 by the end of 1939, as claimed by Kogon, is compatible with these comparatively low prewar camp population figures? >gives us an additional 150K, add T-4 euthanasia victims of 150K, then there are an >unknown number victims of summary executions in 1945. The estimate of 600K makes >sense to me. The figure on euthanasia victims may be correct, but the others I doubt. The total of deaths in German concentrations camps (excluding the camps set up purely for extermination) is estimated between 400,000 and 1,100,000, according to Overy (as above, page 614). On pages 615 f. Overy writes that "During the war years an estimated 90-05 per cent of camp prisoners were drawn from the rest of Europe. The great majority of those who died or were killed in the camps were drawn from their non-German population." Later in the same chapter it is mentioned that German prisoners tended to have privileged positions in the concentration camps, and that Germans were usually treated better than non-Germans. I don’t see how all of this is compatible with the notion that over 300,000 Germans died in Nazi concentration camps. And on what basis do you assume that summary executions in 1945 may have claimed as many as 150,000 German civilians, as you seem to do? ... which I would blame on the occupiers insofar as shortages resulted from their policies. Where can I find this information about death rates in the GG? >Wikipedia( if they are correct in the citation )cites a German source for 108,000 Poles dead >in the Nazi forces. I don’t think this information is correct as I have never read about a correspondingly large number of Poles in the German armed forces. Maybe the source is referring to ethnic Germans who until 1939 had the Polish nationality. >In any case most Poles dead in the camps were sent there for economic offenses, dealing >on the black market, according to Jan Gross. If so, I don’t think that decriminalizes their being killed or dying of starvation or disease in the camps. >The Polish estimate of 2 million also includes 300,000 dead during Soviet deportations and >100,000 killed by Ukrainians. I seems to me that the US Holocaust Memorial Museum >copied a number of 2 million that they did not understand. The USHMM’s number is 1.8 – 1.9 million, and they seem to have understood enough about it to know that it includes civilians killed during military operations in 1939 and 1944/45 and during the Warsaw Revolt. Could you please name the source of this 2 million estimate and tell me more about how this figure was arrived at and what it is stated to include? Thanks! Anyway, I don’t use the USHMM’s number but Bogdan Musial’s number of 1.55 million, which according to Steve Paulsson is "based on adding up actual victim counts", and I deduct one-third for good measure because I don’t know what territory this figure refers to and whether it includes collateral casualties of military operations. If you could tell me more about what is included in Musial’s figure, I’d appreciate that. >"However, if you know a more precise source than Ellman or Maksudov or the >Extraordinary Commission, please let me know." Thanks. I’m starting to learn Russian now but it will be a while before I can read longer Russian texts. Could you please tell me more about this source? What breakdown of civilian casualties does it provide? In Germany people who suffered from depravation and abuse in the camps, on the verge of death were released early. They were listed as dying of natural causes on the death certificate filed in the Rathaus. Kogan is a reliable source, he had access to camp records as an inmate. Maybe the source is referring to ethnic Germans who until 1939 had the Polish nationality. The Poles considered ethnic Germans Polish citizens drafted in violation of the Geneva convention. 2.6 million Poles signed the Volksliste. This is a dirty little secret Poles don’t want to be reminded about. When daddy signed the Volksliste, junior got drafted and was sent to Russia. Could you please name the source of this 2 million estimate ? The Poles count losses in the territory ceded to the USSR in 1945. The Soviets also count losses in the territories annexed in 1939-40. This goes over the heads of many historians in the west who publish tables of statistics that claim the USSR lost 27 million and Poland 6 million. refugee in the Soviet zone in Germany. Could you please tell me more about this source? What breakdown of civilian casualties does it provide? Roberto, tell me if there any problems with these numbers. The sources cited for the above data are from Soviet era. They are based on the records of the Soviet State Extraordinary Commission for Ascertaining and Investigating the Crimes Committed by the German-Fascist Invaders and Their Accomplices. In addition there were 1.713 million additional deaths on German territory in forced labour. Remember the Soviets count only 8.7 million military dead., including 1.8 million missing & POW. Famine and disease deaths are estimated at 4.1 million in the occupied territories. 6 % of the 68 million persons in the occupied territories. Where can I find this information about death rates in the GG? a lot higher than in the Third Reich which was about 14.0 during the war. Start with 24 million ethnic Poles in 1939, assume that the losses were 1.9 million. That yields a natural increase of 1 million which is about 300,000 less than the figure if there was no war. 200,000 dead in Nazi camps mostly economic offenses, blackmarket etc. >In Germany people who suffered from depravation and abuse in the camps, on the verge of death were >released early. They were listed as dying of natural causes on the death certificate filed in the Rathaus. I’m sure this happened, but to what extent? Do you know of any sources that might allow for quantification? >Kogan is a reliable source, he had access to camp records as an inmate. "Kogon estimates the number [of victims of Nazi concentration and extermination camps – RM] at 7,125,000 out of a total of 7,820,000 inmates, but the figure is undoubtedly too high. (Kogon, The Theory and Practice of Hell, p. 227)." The total of deaths in the Nazi concentration camp system is 1,885,889 to 2,045,215, according to Karin Orth (Das System der nationalsozialistischen Konzentrationslager, page 346). This includes Auschwitz-Birkenau and Majdanek but not the pure extermination camps Chelmno, Belzec, Sobibor and Treblinka, which together accounted for about 2 million dead at maximum. So I wouldn’t rely on Kogon when it comes to figures. Besides, would camp records include those who died shortly after their release? >The Poles count losses in the territory ceded to the USSR in 1945. The Soviets also count losses in the >territories annexed in 1939-40. This goes over the heads of many historians in the west who publish >tables of statistics that claim the USSR lost 27 million and Poland 6 million. If, as you say, Musial counts losses in territory that became part of the USSR, I was right in reducing Musial’s figure of 1.55 million to 1 million, though of course the reduction factor is entirely arbitrary. 27 million losses of the USSR in its borders as of 22 June 1941 are supported by Ellman & Maksudov. The 6 million for Poland (which are too high in that they, IIRC, are based on projections of what the population would have after the war, thereby including unborn children) include losses in areas that later became part of the USSR and must be deducted to avoid double-counting. >Roberto, tell me if there any problems with these numbers. I have some questions, but thanks for the info! >The sources cited for the above data are from Soviet era. They are based on the records of the Soviet >State Extraordinary Commission for Ascertaining and Investigating the Crimes Committed by the >German-Fascist Invaders and Their Accomplices. How many deaths in the occupied territories did the Soviet State Extraordinary Commission count in total, and how did it establish which of these deaths were "premeditated" by the occupiers and which were not? What was the commission’s criterion for counting deaths as "premeditated deaths"? >In addition there were 1.713 million additional deaths on German territory in forced labour. How were these established? By counting deported forced laborers who did not return to the USSR? >Remember the Soviets count only 8.7 million military dead., including 1.8 million missing & POW. The figure for missing & POW is too low, probably because it doesn’t include conscripts who were captured before they were taken on strength, members of non-military support services of the Red Army and civilians of military age put into POW camps by the Germans. All these categories are included in the German count of ca. 5.7 million POWs in total. Of these, between 2.5 million (according to Alfred Streim) and 3.3 million (according to Christian Streit) perished in German captivity. >Famine and disease deaths are estimated at 4.1 million in the occupied territories. 6 % of the 68 million >persons in the occupied territories. Are these also data from the Soviet Extraordinary Commission? b) from deterioration of living conditions in the areas of the USSR that were never occupied by the Nazis ? >a lot higher than in the Third Reich which was about 14.0 during the war. I note that the Polish death rate rose again in 1944, to a level even higher than in 1942. How did Zielinski establish these rates, and what deaths (only "natural" deaths or also deaths from executions, concentration camps etc.) do they include? >200,000 dead in Nazi camps mostly economic offenses, blackmarket etc. Thanks. That gives us about a million dead from famine/diseases, Nazi reprisals and Nazi camps together, plus an unknown part of the victims of the 1939 campaign and the 1944 Warsaw Uprising who were not collateral casualties but victims of German executions/massacres. Who is "Thorwald"? There’s a German author by the name of Jürgen Thorwald, but I don’t think it is him you are referring to. Source R. J. Rummel posted on Wikipedia. I checked it at the library. This time Wikipedia was right. I know of true story of a railway employee who was arrested for stealing coffee. His wife served the coffee to her friends. This was wartime coffee was scarce, another lady reported her to the Gestapo. Her husband was sent to Dachau and released early because he was dying of TB. The Germans who told me this story thought it was very amusing. Another case of a man who left Germany after the war. He told me about the death of his mother. In 1945 when he was 17, his mother told him to go and hide in the hills, she did not want him to die in the German uniform .like his father. He ran to the hills, the Nazis tied his mother to a tree to force him to return. His mom cried out “ Teddy stay there, don’t give yourself up” In 1945 the Americans came and he was free. After the war he could work only for the Americans, the local townsfolk considered him a traitor and would not speak to him. Also, you may remember the US media reported that the local council in Berlin refused to rename a street after Marlene Dietrich , she opposed the Nazis and fled Hitler Germany. She was still considered a traitor in 1992 in the eyes of the Germans. It is not surprising that statistics on German victims were not compiled in post Germany. Thorwald has no academic connections, he works in the real world as a financial analyst. >Source R. J. Rummel posted on Wikipedia. I checked it at the library. This time Wikipedia was right. >It is not surprising that statistics on German victims were not compiled in post Germany. German historian Helmuth Auerbach must have based himself on something when he mentioned ca. 100,000 German victims of the "euthanasia" killings and 130,000 opponents on political or religious grounds. >Thorwald has no academic connections, he works in the real world as a financial analyst. His full name and the title of what he has published about this subject may be of interest nevertheless. So it’s yourself. Please to meet you, then. Maybe you can tell me more about your breakdown of losses among non-Jewish Poles, like sources and so. Not that have a problem with your figures, but the more detail, the better. Zielinski worked for the US census bureau and published his monograph in 1954. He worked up the numbers using Polish sources published after the war. It is available at the Library of Congress. Main Title: Population changes in Poland, 1939-1950. Description: 101 p. 28 cm. The guy who stold the coffee was just a garden variety thief. his books. In the case of Germany I believe a figure of 500-600,000 is reasonable using Kogon and the T-4 data. If 160K die from 33-39, then another 140K from 40-45 seems reasonable, add 150K T-4 victims and we are at 450K. Data on aggravated deaths on persons relased early and summary executions will bump up that number to 600K. 200,000 Polish citizens in the annexed territories were drafted into the Soviet Army from 1940-41. Assuming 1/2 were Poles and that almost all men aged 18-22 in the Soviet Army in 1941 did not survive the war, it is reasonable to assume that they are part of Poland's overall demographic loss. The pieces to the puzzle of Polish losses in WW2 will be found in. The Zielinski monograph I mentioned. Main Title: The population of Poland, by W. Parker Mauldin and Donald S. Akers. Published/Created: Washington, U.S. Govt. Print. Off., 1954. Description: vi, 198 p. illus., maps. 26 cm. Main Title: Population changes in Europe since 1939; a study of population changes in Europe during and since World War II, as shown by the balance sheets of twenty-four European countries. Published/Created: London, Allen & Unwin, 1951. Description: 191 p. diagrs., map. 23 cm. breakdown of the 1959 Cenus by ethnic group for each each district is in the Library of Congress. Trust me, putting the pieces of this puzzle together was interesting. >The guy who stold the coffee was just a garden variety thief. That’s why I accept the figure only if also including the "garden variety thief" type of prisoners, among others. >In the case of Germany I believe a figure of 500-600,000 is reasonable using Kogon and the T-4 data. If >160K die from 33-39, then another 140K from 40-45 seems reasonable, add 150K T-4 victims and we are >at 450K. Data on aggravated deaths on persons relased early and summary executions will bump up that >number to 600K. The problem is that an essential element of the starting point for your extrapolations (Kogon’s data for 33-39) stands a good chance of being a distinct exaggeration. >How many deaths in the occupied territories did the Soviet State Extraordinary Commission count in total, >and how did it establish which of these deaths were "premeditated" by the occupiers and which were not? >What was the commission’s criterion for counting deaths as "premeditated deaths"? Also in mine. It may be that what the Soviet Extraordinary Commission did was to chart up all war-related deaths they recorded in the Nazi-occupied territories, or at least all violent deaths (i.e. including collateral victims of military actions, possibly also the Poles killed in Volhynia by the UPA and perhaps even victims of Soviet repression in the Baltic Countries and former eastern Poland) as "premeditated deaths" attributable to the Nazi occupiers. Not all their figures are as suspect as those regarding the Baltic countries, however. The figure for Belorussia, for instance, is not that far above Gerlach’s estimate of about 500,000 – 550,000 Jews plus ca. 400,000 other civilians killed by the Nazi occupiers. And the figure for Russia doesn’t seem all that unreasonable if it includes the victims of the siege of Leningrad, which I don’t know if it does. The demographic loss of Germany in 1937 borders between the census of 5/39 and 10/46 was 10.7 million. 1.8 million were POWs in allied captivity and 2.3 million were in Poland or the USSR. That leaves 6.6 million war dead to explain, not counting war deaths of 800,000 ethnic Germans in eastern Europe and 400,000 from Austria. In total 7.8 million war dead for the Third Reich that need to be explained with credible sources. 1- Military war dead- 5,318,000 per R. Overmans Deutsche militärische Verluste im Zweiten Weltkrieg. 2- Air raid deaths- 400,000 per Das Deutsche Reich und der Zweite Weltkrieg, Bd. 9/1- 370,000 Germany plus 24,000 Austria. 3- Deaths in East Europe –Soviet war atrocities, expulsions and forced labour in the USSR 635,000 –per data from German government in 1989 cited by Overmans . The figure of 2.2 million expulsion deaths published in 1958 has been proved to be a gross exaggeration based on conjecture. In my opinion the balance to be explained of 700,000 would comprise 240,000 German and Austrian Jews, 30,000 Gypsies, 150,000 T-4 victims and 280,000 other deaths at the hands of the Nazis including 130,000 political prisoners. Not all their figures are as suspect as those regarding the Baltic countries, however. I would not bet the ranch on that statement. In future a Russian Overmans may sort this out. At this point in time we have a demographic war loss of 26.6 million for the USSR that lacks a staisfactory explanation. >I would not bet the ranch on that >statement. I wouldn't bet the ranch on anything if I had one. However, compared to the figures for the Baltic Countries those for Belorussia seem to be a showpiece of accuracy. >In future a Russian Overmans may >sort this out. At this point in >time we have a demographic war >loss of 26.6 million for the USSR >that lacks a staisfactory >explanation. I'm curious to see the upcoming posts on your blog. British casualties in WW2 are a puzzle. Wikipedia has these figures from the CWGC that are higher than the official totals from 1946.
honest recount of the death toll in WW2. There was considerable collaboration there during the war, the NKVD worked overtime to identify and punish the folks who supported Germany. In the western Ukraine & Byelorussia 600,000 were deported after the war ,160,000 killed in the anti-Soviet guerrilla war and 300,000 Russians sent in to administer the region. Regarding losses for each Soviet Republic, there may be a problem with internal migration, millions were transferred into the interior and could have been listed as missing and dead in Byelorussia. This is a hunch of mine at this point, the Stalin era commission claims that the 7.4 million dead are documented cases of premeditated murder by the Germans. If the Baltic numbers are inflated, then I would not trust the other figures that total 6.7 million. >You might loose the ranch in the future if the anti-communists in Byelorussia do >an honest recount of the death toll in WW2. There was considerable >collaboration there during the war, the NKVD worked overtime to identify and >punish the folks who supported Germany. In the western Ukraine & Byelorussia >600,000 were deported after the war ,160,000 killed in the anti-Soviet guerrilla >war and 300,000 Russians sent in to administer the region. Regarding losses >for each Soviet Republic, there may be a problem with internal migration, >millions were transferred into the interior and could have been listed as missing >and dead in Byelorussia. This is a hunch of mine at this point, the Stalin era >commission claims that the 7.4 million dead are documented cases of >premeditated murder by the Germans. If the Baltic numbers are inflated, then I >would not trust the other figures that total 6.7 million. I didn’t say I trusted the other figures. What I said was that I consider the other figures, or at least some of them, to be closer to reality than those for the Baltic Countries. Regarding Byelorussia, research conducted independently of the Soviet figures by Christian Gerlach points to a total of 900,000 to 950,000 civilian victims of Nazi repression or extermination, thereof 500,000 to 550,000 Jews. The difference between Gerlach’s estimates and the 1,547,000 counted by the Soviet Extraordinary Commission is smaller in proportion than the difference I expect to show if someone should independently research the death toll in the Baltic Countries attributable to "premeditated" actions of the Nazi occupiers. As to the Baltic Countries, if you add up their civilian casualties according to the Wikipedia WWII casualties page, you get a total of 41,000 (Estonia) + 227,000 (Latvia) + 353,000 (Lituania) = 621,000. The Soviet Extraordinary Commission’s total for "premeditated" civilian deaths is 61,307 (Estonia) + 313,000 (Latvia) + 370,000 (Lithuania) = 744,307. If the Wikipedia figures are accurate, the difference between them and the SEC’s figures is small enough to suggest that the problem with the latter is not so much inflation as categorization, i.e. the SEC charted up all recorded civilian deaths among the Baltic populations (including collateral casualties of military operations and victims of Soviet repression) as attributable to "premeditated" actions by the Nazi occupiers. >British casualties in WW2 are a >puzzle. Wikipedia has these >figures from the CWGC that are >higher than the official totals >from 1946. >Do you have any thoughts? No idea. The 1946 official totals may have been incomplete. I have only a few minuets of free time at the office. The Baltic # seem way too high, the Germans were not shooting those folks, they were in the SS. The Commission # may include victims of Soviet repression. The Commission files are at the USHMM, I would like to check them out. I must run, the April financials are due on Friday. What about British victims of terror-bombing and VIs and VIIs? What about Spanish who were bombed in their country?